Penrhos Cottage Historic HouseThis tiny cottage was built as a ty un nos (house built in one night) around 1800 and last occupied in 1967. 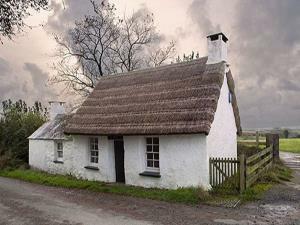 It is the last thatched cottage in Pembrokeshire. This historic cottage offers not only a brilliant architectural piece in its own right, but houses a collection that helps visitors to understand the ways that the community has changed throughout the years. Within the cottage, visitors are able to see the traditional methods that were used to build the cottage, as well as many of the original furnishings, now antiques of the highest order. It is generally open only by appointment (please telephone to arrange a visit).